As a Breckenridge Realtor, I really love taking my clients to look at different homes. It’s such a wonderful feeling to show them the great potential in this lovely town. With such a wide range of fantastic homes, I can’t help being getting excited about showing a client a promising Breckenridge, CO property. Believe it or not, writing about a certain available home is almost as exciting. It gives me the chance to present a featured home that truly stands out in the Breckenridge real estate market. I enjoy knowing one of my readers might feel an instant connection to a home that I’ve highlighted. This month is no exception. I’d like to show you a Breckenridge condominium that could become your dream home. It’s built for relaxation with a private hot tub on the deck. Plus, this condo contains an open family room, dining room and kitchen that face a gorgeous, mountain view. In terms of appliances, the washer and dryer are included. You’ll also have 2 full bathrooms and your own fireplace. 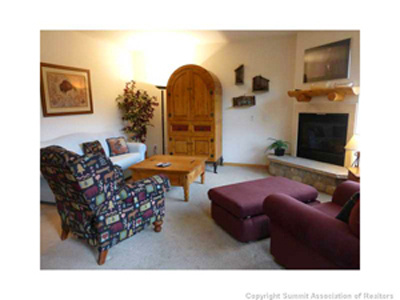 When it comes to location, this condo is perfectly situated about one block from the ski lifts. You can easily stroll into downtown Breckenridge, too. That means you’re close to breathtaking, natural surroundings and within walking distance to all the fun shops and restaurants in town. This Breckenridge condo is a real gem on so many levels. Its beautiful, light-filled interior will undoubtedly provide a happy home for the next owner. Maybe that person will be you! Want More Info on This Breckenridge CO Property? If you’re in the market for a Breckenridge condo for sale and you’d like to set up a showing let me know. I can arrange a visit right away. Give me a call and I’ll schedule a time that works around your schedule. Also, if you want to view other properties in Breckenridge or throughout Summit County, I’m happy to put together some homes that might meet your needs. You’re always welcome to look through the updated listings on my website any time as well. Then we can talk about the homes that interest you together. When you’re ready to discuss your options or prepare for showings, contact me at any time via email ([email protected]) or on my office line. I look forward to working with you to find your perfect home.